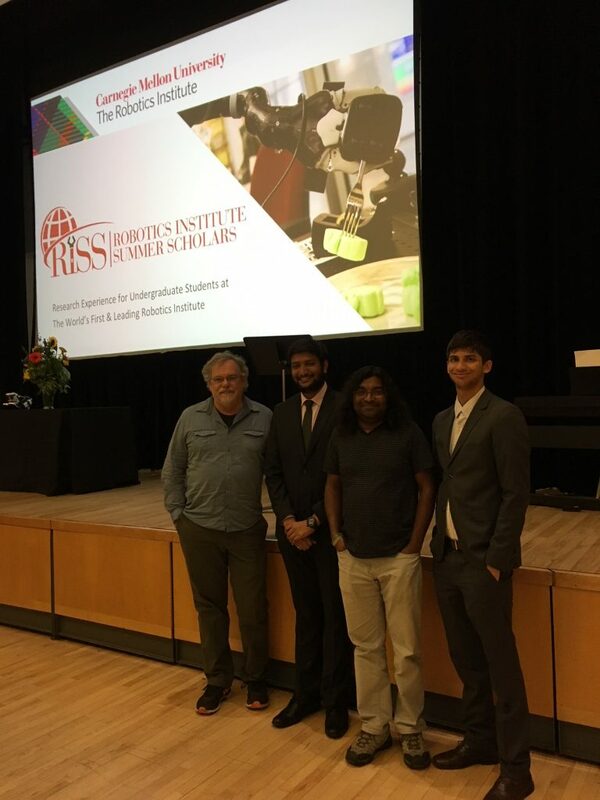 I spent my summer 2018 at Carnegie Mellon University (CMU) as a Robotics Institute Summer Scholar (RISS). 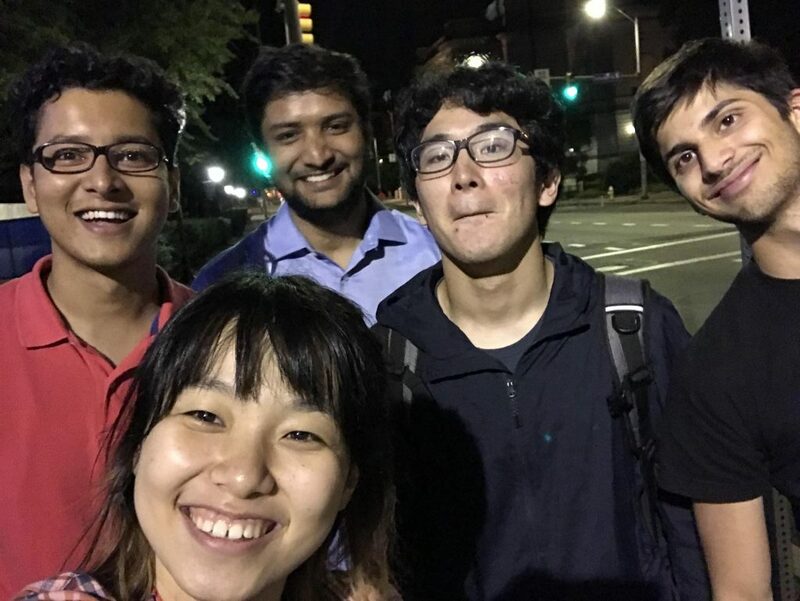 It is one of the most sought-after internship programs out there, partly as it is hosted by CMU and partly as it allows you to immerse yourself into research in the field of Computer Science. I had spent my past two years at Precog working under PK on several developmental and research projects. I was hesitant at first while applying for the program as I was not sure if my experience was enough to have a decent shot at selection. As the application deadline approached I thought to at least give it a try and was able to submit it just in time. The next few months were filled with eager anticipation for the result and it was on 14th March that I received an interview call from my to-be mentor at CMU. After my interview, I was informed regarding the confirmation of my selection in the program at the end of March after two long months. The summer began with the orientation of ~35 scholars from around the world. I was working in Intelligent Coordination and Logistics Lab (ICLL) led by Dr. Stephen Smith along with Dr. Isaac Isukapati. I worked on two projects during my time there. The first project was regarding developing a traffic simulation which incorporates a bus dwell time model built using Bayesian hierarchical inference. 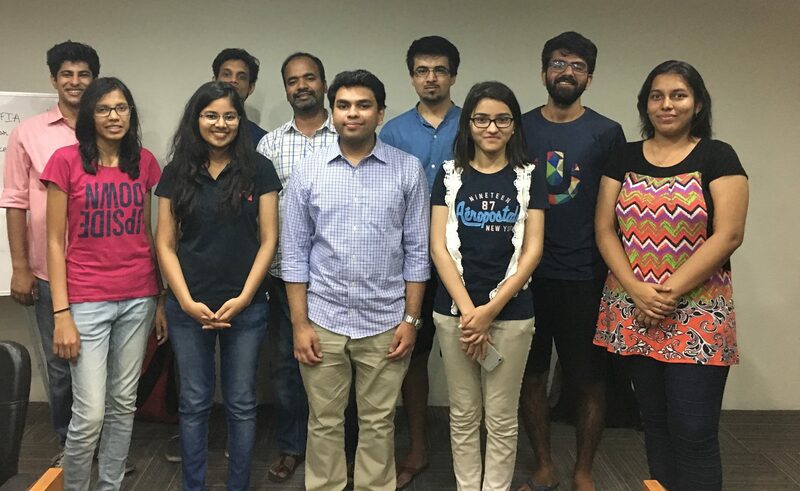 The second project involved testing and developing an IOS app which would help visually impaired people to cross the intersections using minimal gestures. Both of the projects had SURTRAC at the heart of the problem statement. SURTRAC is a system developed by ICLL to make intersections smarter by seeing the oncoming traffic using the DSRC technology to change the phases of traffic lights. I worked on these projects with Aidan – another member of the cohort and one of the best colleague you could ask for. RISS was an enriching and a holistic experience. I met with some wonderful people during the time and made some lasting friendships. This program not only focuses on encouraging students to heavily engage in research but also allows you to build yourself in an all-round manner. 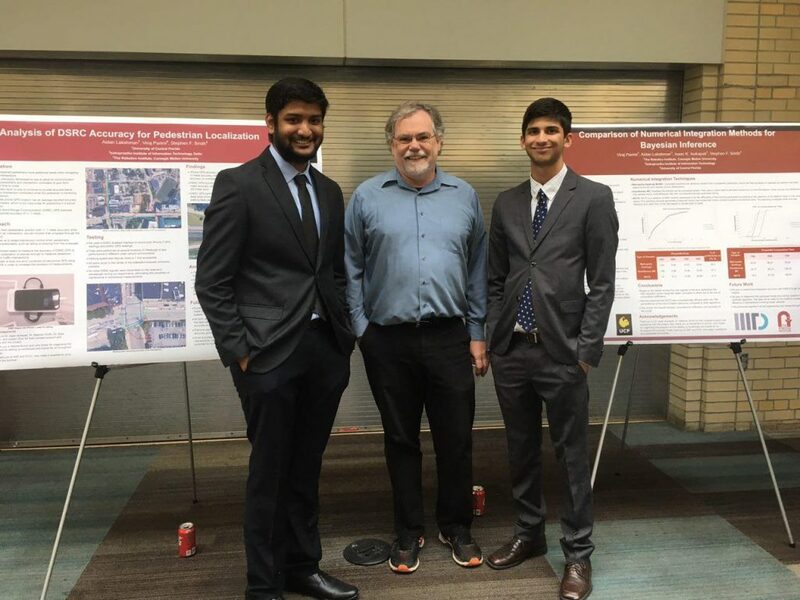 During the summer I got the opportunity to attend the RSS conference at CMU. It was at this conference that I got to interact with world-class researchers and even attended a talk by Dr. Sergey Levine. 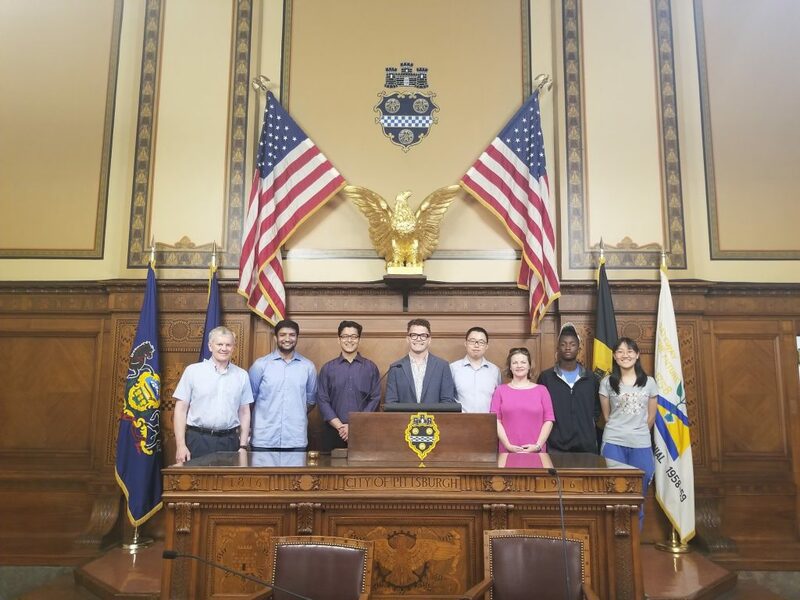 We as a cohort also had the opportunity to visit the office of the mayor and interact with a councilperson regarding our internship. 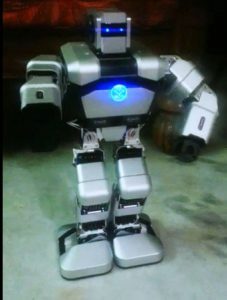 This platform provides several opportunities like the UBTech and DJI workshops where we worked with drones and a humanoid robot, which to my surprise were given to us at the end to take back home. It felt like I was learning something new in every second that I spent there. Initially, I used to think of research in a more technical way with a narrow-minded focus on results rather than what the results we’re trying to convey but after regular philosophical discussions with my mentor, I got to know that it is much more than that. Humanoid robot One with everyone! I owe most of my success to Precog which has been an intrinsic part of my career for the past two years. They are a bunch of people who genuinely care for you and are willing to help if you face any issues regardless of its triviality. They are highly welcoming for new students and make them feel like a part of a family. The weekly group discussions allowed me to ensure regular progress and brainstorm ideas to fix any issues that I would face in my project. I highly recommend everyone to be a part of Precog and experience the warmth of this family.